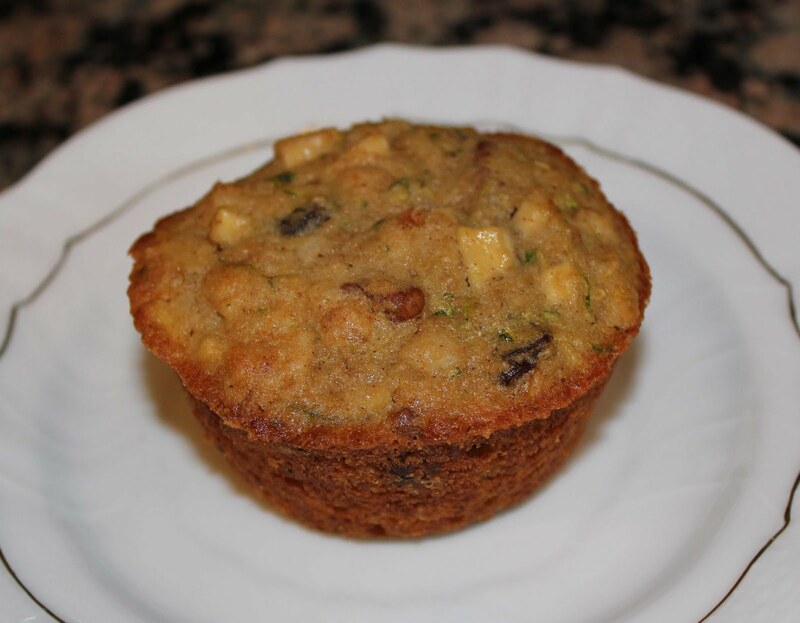 My mom discovered this recipe for breakfast muffins from Joanne Chang’s cookbook, “Flour: Spectacular Recipes from Boston’s Flour Bakery + Cafe,” and we just love them. They are healthy, sweet, light, and filling. 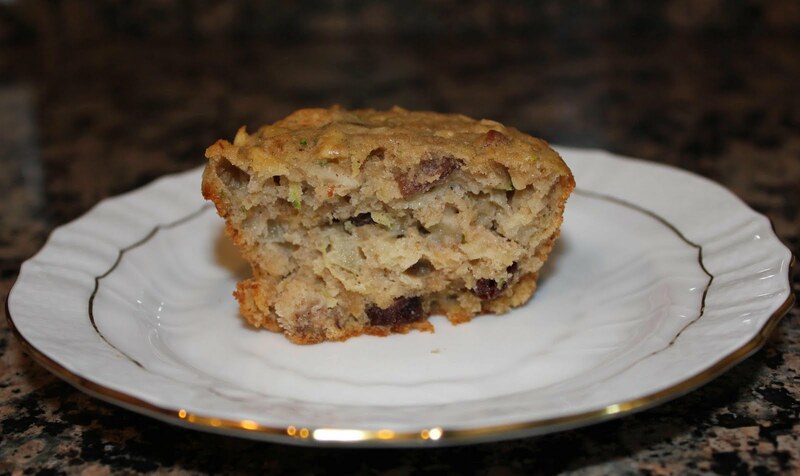 The combination of ingredients are perfect for each other: apples, zucchini, raisins, coconut, pecans, oats…what more could you ask for in a muffin? I love topping each one with a squirt of honey for an added sweetness. 1. Position a rack in the center of the oven, and heat the oven to 350 degrees F. Butter a standard 12-cup muffin tin, cot with nonstick cooking spray, or line with paper liners. 2. In a medium bowl, stir together the wheat bran and hot water until the bran is completely moistened. Add the zucchini, raisins, pecans, coconut, and apple and stir until well mixed. 3. using a stand mixer fitted with a whip attachment, beat together the sugar and eggs on medium speed for 3 to 4 minutes, or until the mixture thickens and lightens. (If you use a handheld mixer, this same step will take 6 to 8 minutes.) On low speed, slowly drizzle in the oil and then the vanilla. Don’t pour the oil in all at once. Add it slowly so it has time to incorporate into the eggs and doesn’t deflate the air you have just beaten into the batter. Adding it should take about 1 minute. When the oil and vanilla are incorporated, remove the bowl from the mixer stand. 5. Bake for 35 to 45 minutes, or until the muffins are lightly browned on top and spring back when pressed in the middle with a fingertip. Let cool in the pan on a wire rack for 20 minutes, then remove the muffins from the pan. 6. 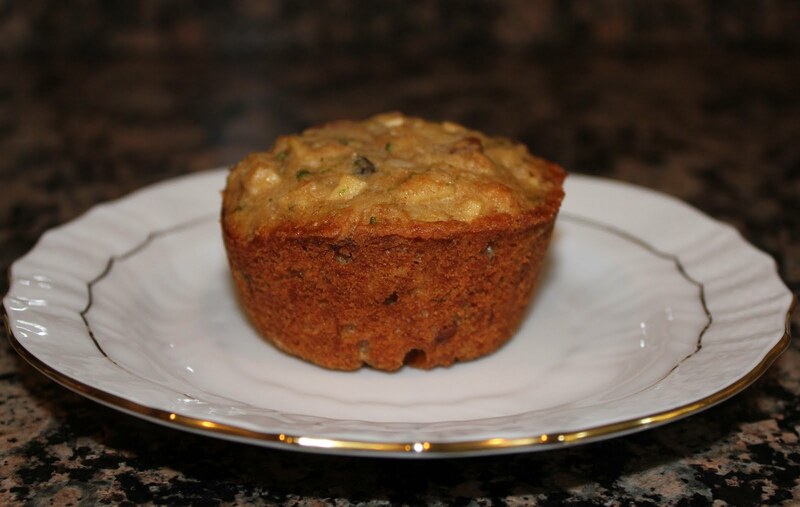 The muffins taste best the day you bake them, but they can be stored in an airtight container at room temperature for up to 3 days. If you keep them for longer than 1 day, refresh them in a 300 degree F oven for 4 to 5 minutes. Or, you can freeze them, wrapped tightly in plastic wrap, for up to 1 week, reheat, directly from the freezer, in a 300 degrees F oven for 8 to 10 minutes.